PREVIEW: Who Will Win The Opening Kerry SHC Games This Saturday? Action in the Garveys SuperValu senior hurling championship begins on July 1st when Crotta O’Neills take on the 2016 champions Kilmoyley at 5.30pm in Austin Stack Park. All games in the competition will be played in Tralee this year. 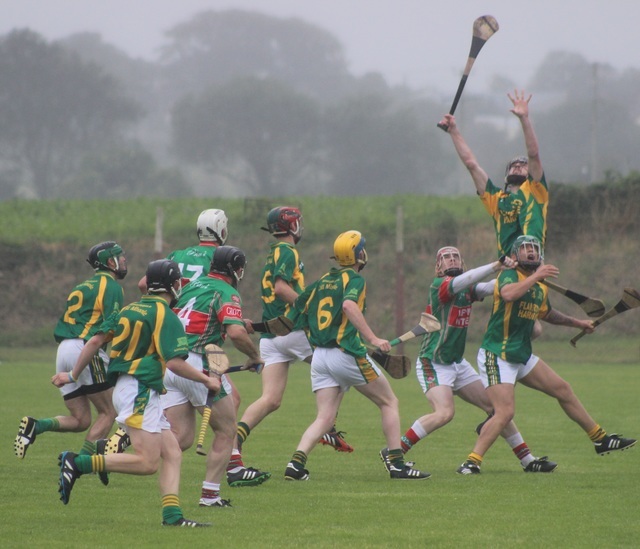 Last year the early rounds were played at North Kerry venues, the previous year all games were played in the hurling heartland, with the final being played in the manicured grasses of Abbeydorney. The hurling clubs were anxious to return to the Tralee venue, something that surprises me. Crotta will come into the game against the champions buoyed by the success of their minors last year and we can expect to see some of them make an impact for the seniors. Barry O’Mahony has already a huge reputation in Kerry hurling circles and he would be of massive assistance to the big guns like Shane Nolan and Sean Weir, but alas his involvement with the Kerry minor footballers will probably put paid to his chances of playing. Jordan Conway received an injury recently and will not make the early rounds. If that is the case he is a huge loss to the Crotta boys. Kilmoyley will probably be favourites to progress especially with the return of Daniel Collins to action after a lay off with a hamstring injury, which saw him miss the latter stages of the county campaign. James Godley leads the Kilmoyley men this year and he will be out to keep the famous Kilmoyley name on the records for another generation, many thought that James was hard done-by when he wasn’t a regular starter for the county team last season. Kilmoyley slipped up in first round last year and still ended up with The Neilus Flynn Cup on Aiden McCabe’s sideboard, expect them to take the short way home this year. In the other game this weekend Causeway take on St Brendan’s at 7.15pm. Causeway come the county hurling championship every year with the hope of returning the Neilus Flynn Cup to where it came from. Again this year, they will be hoping to capitalise on the array of talent they have at their disposal, something that they have been unable to do for the past couple of years, this year by all accounts the new management has instilled a pretty stringent training regime. Causeway have been putting up some impressive scores in North Kerry and County League games. Tommy Casey and Keith Carmody will surely burst every gut to get Causeway into a final given the events at county level towards the end of the season. Muiris Delaney has returned to full fitness and if he can reproduce any of the form he showed at schools level he will be huge for Causeway. The two other county men Colum Harty and Jason Diggins will be attempting to have an influence at opposite ends of the field, Harty using his lightening speed and accuracy to torment the St Brendan’s defence and Jason attempting to curb the like of Egan and Hussey. Causeway overcame Kilmoyley in the County league beating them by five points so they will surely take confidence from that win. St Brendan’s were on everybody’s lips a few weeks ago as being serious contenders for honours come end of the season, their results have been a little bit inconsistent. There was a high scoring draw with Lixnaw in North Kerry where they put three goals and twelve points on the board, they relinquished a decent lead at half time in that game that must cause them concern. They then shipped 3-17 to Lixnaw only scoring 1-9 in reply in the county league. They also lost to Kilmoyley and Ballyduff. They scored 2-13 against Ballyduff, they only conceded one goal and still lost. St Brendan’s are a different outfit when it comes to Championship and will be hoping the influence of Kevin Hannafin will be enough to overcome Causeway. Kevin has been playing at a higher level than most Kerry hurlers for the past few seasons, operating as he did with Carlow IT under the guidance of DJ Carey. John Egan will surely be at his best this season as he has had only to concentrate on the club scene following his retirement from inter county hurling. St Brendan’s can point to big successes at underage in recent years to bolster their confidence for 2107.